Whole Foods chickens, playing happily in the field until killed for my dinners with Beth and Bob. Directions: Oven: 350°. 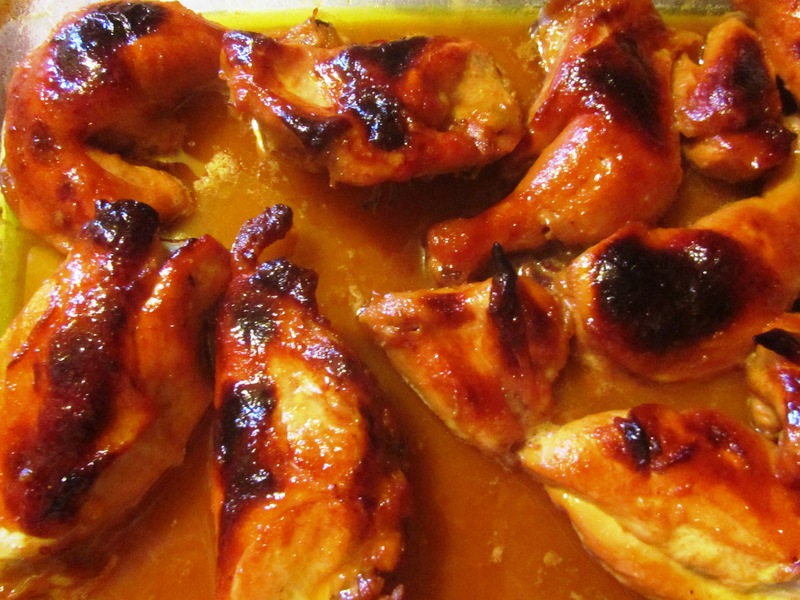 Place chicken pieces in a shallow baking pan, skin side up. Combine the melted butter, honey, mustard, salt and curry powder and pour the mixture over the chicken. Bake in the preheated oven for 1 ¼ hours, basting every 15 minutes with pan drippings, until the chicken is nicely browned and tender and the juices run clear. Old Friends: Beth is coming over for dinner. We have known each other since 1975 or so. Worked together. Commiserated together. Eaten together but more often over one of her delicious meals, not mine. It is way over time for me to reciprocate. Unfinished Business: It was not possible to put the pretty little IKEA table together. Sometimes you really do need competent help from someone who grew up with screws and nails and hammers. Fortunately my brother will be here in a few days. Man to the rescue. Once in awhile it works! 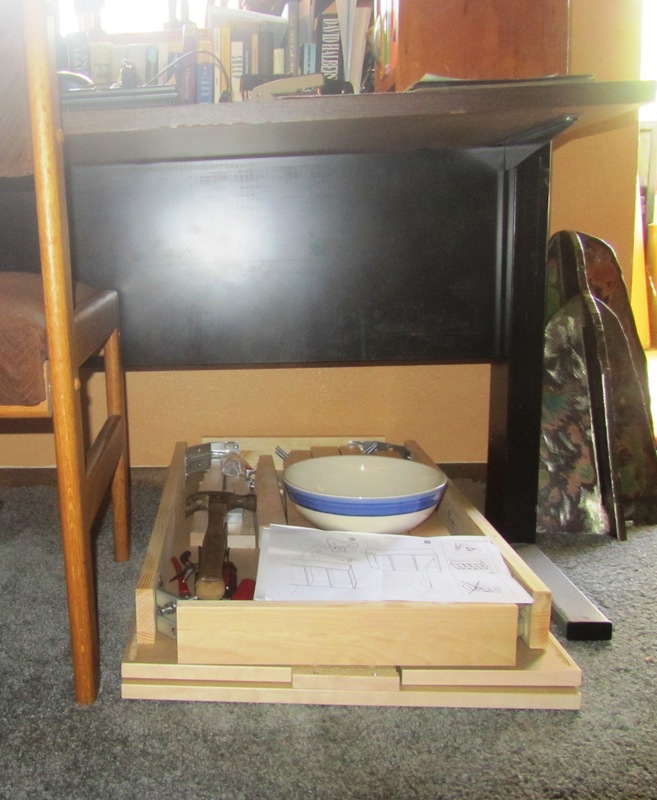 Here’s where the impossible table lives until the cavalry in the form of my brother arrives. I’m ending today by watching THE NEXT TO THE LAST episode of Downton Abbey. Just putting that final moment off. How can you leave Lady Mary…and me? Posted on May 4, 2013, in Living LIFE. Bookmark the permalink. Leave a comment.